White Street Brewing Co. — Punch Design Co.
Big time beer, small town soul. 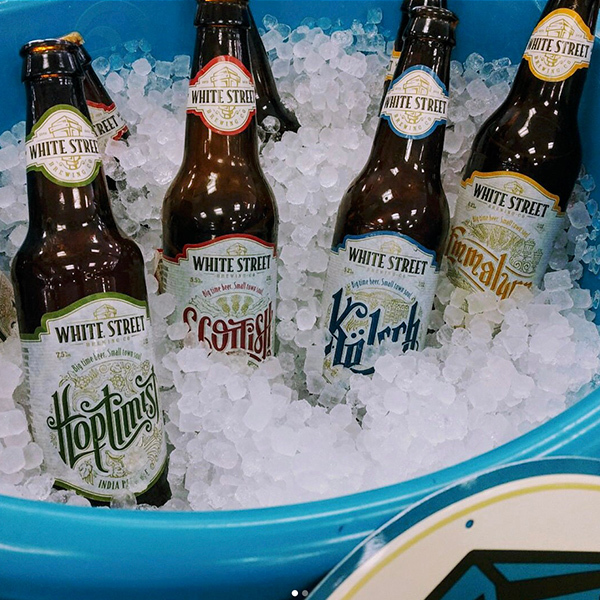 White Street grew organically for the first several years of its existence, known primarily as a beautifully-built taproom in downtown Wake Forest, North Carolina. 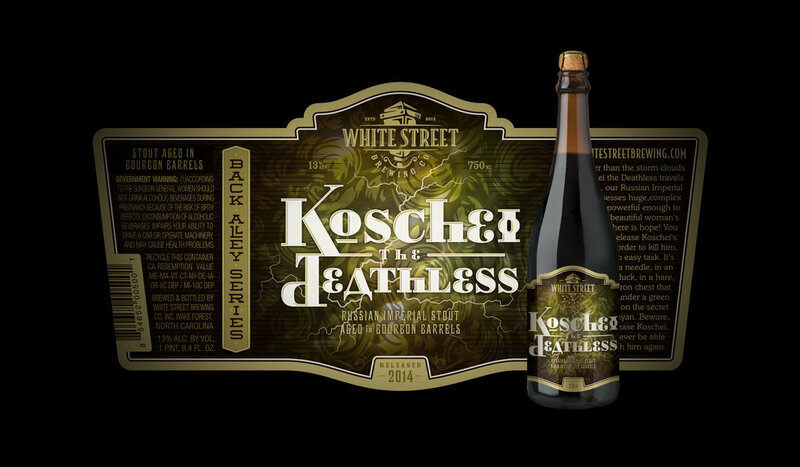 But that state is filled with legendary craft breweries, and White Street needed more than their homespun aesthetic to compete on the shelf. Dino Radosta and his team are dedicated to old-world craftsmanship. Their identity focuses on a blend of post-war nostalgia and the feeling of Smalltown, USA. 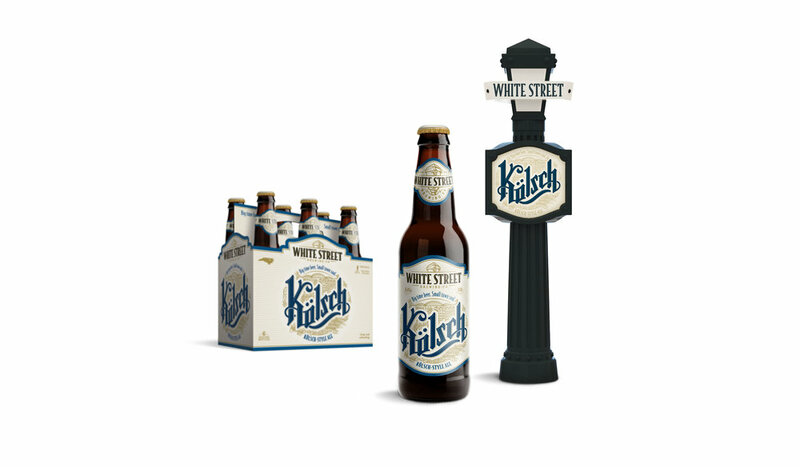 We worked together to weave their values into a new identity system, and expanded on that main street ethos to develop a fully realized brand and packaging system. Custom lettering medallions adorn each year-round product, and the color scheme is inverted for speciality series. 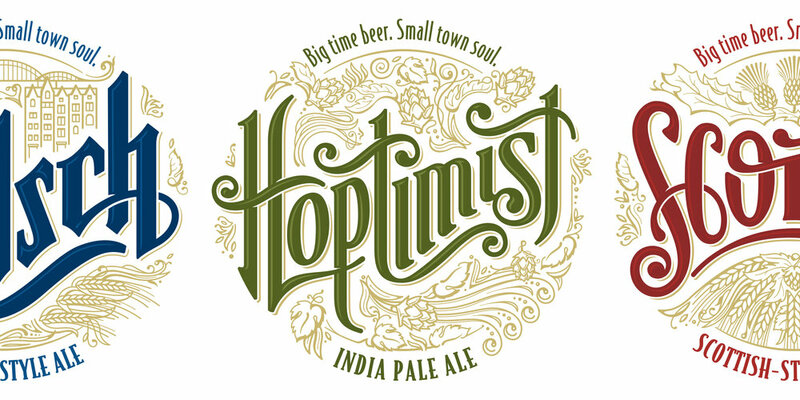 The lantern is used throughout the brand (logo, packaging, tap handles) to inspire the idea of a main street, warm and inviting. 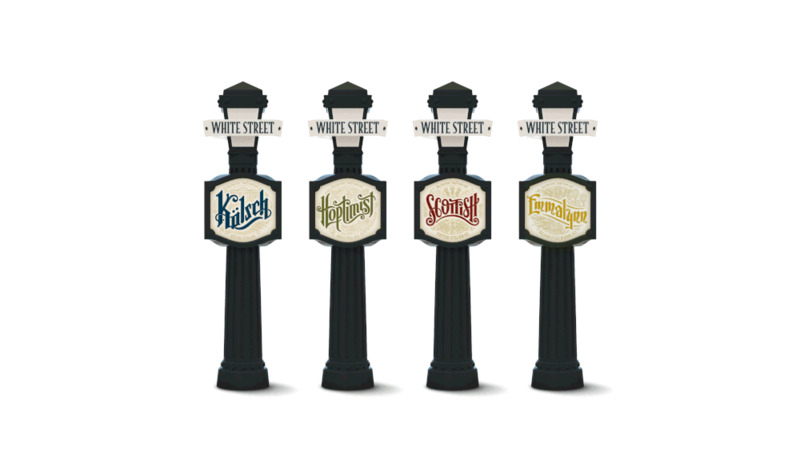 Not only does the new identity system reflect the heart of White Street, the whole effort led to significant sales. 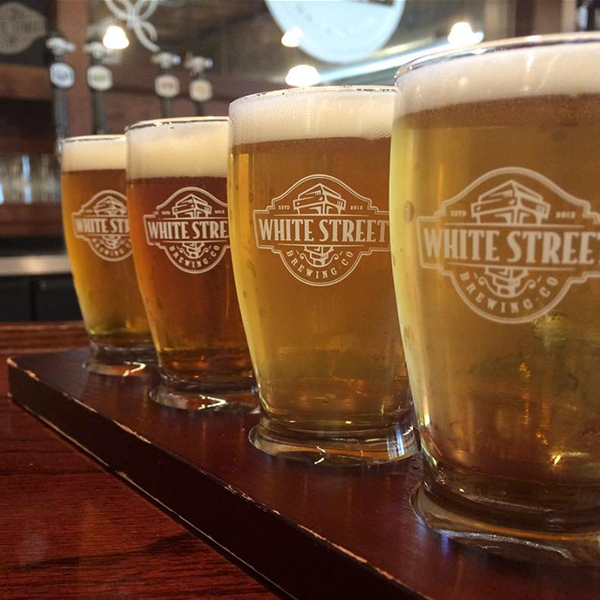 The year after it was released, White Street Brewing Company was on IRI's Top 10 New Craft Brewery Vendors list. 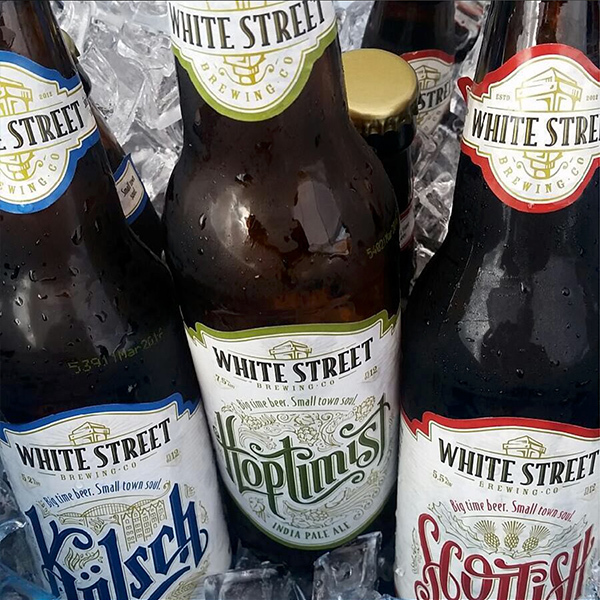 Photography: White Street Brewing Co.